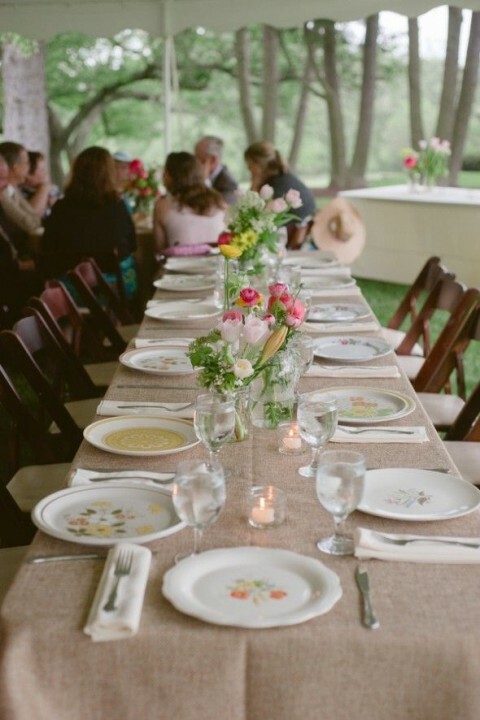 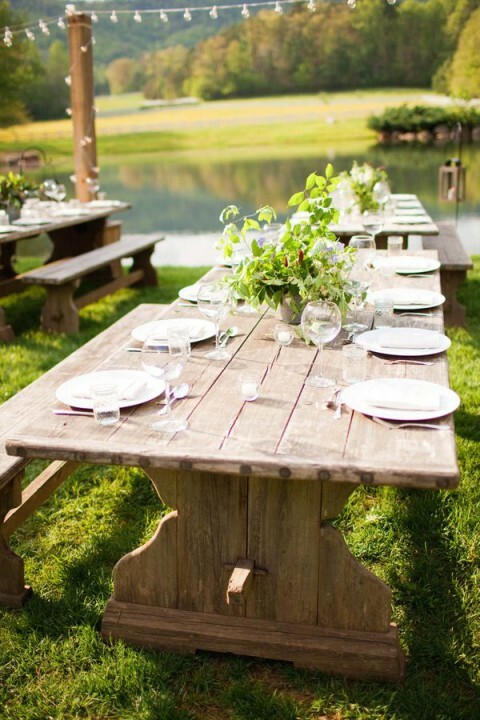 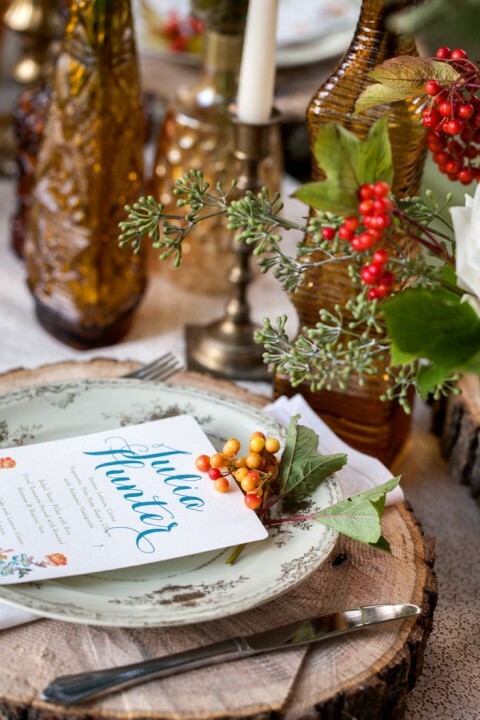 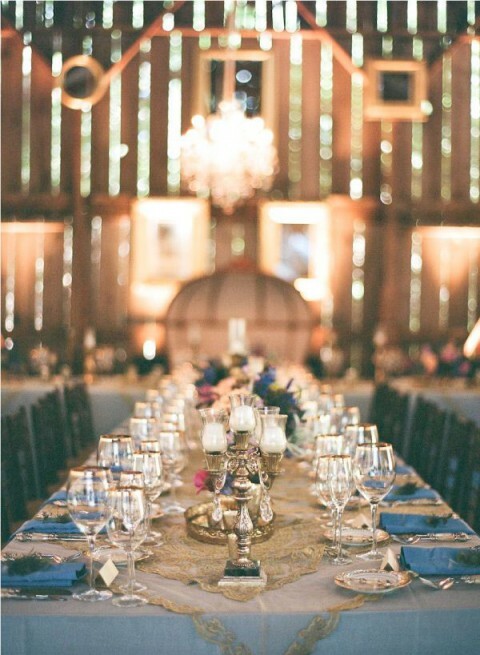 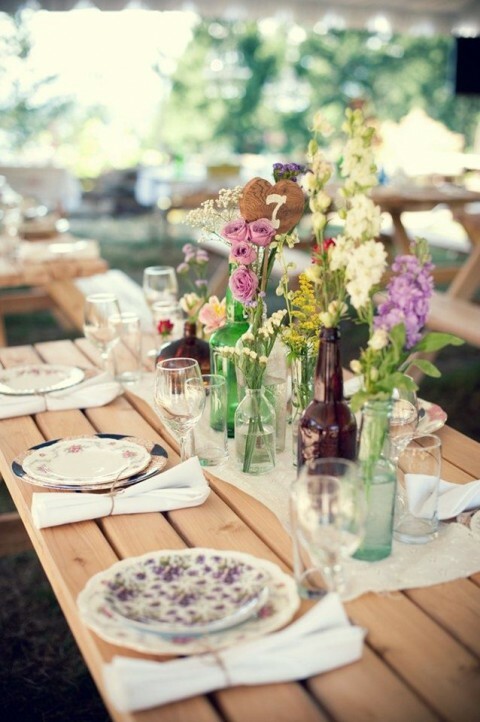 Rustic weddings are so cutie! 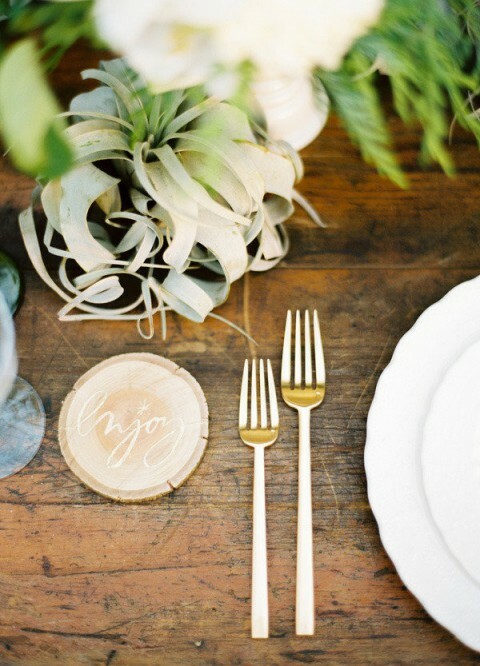 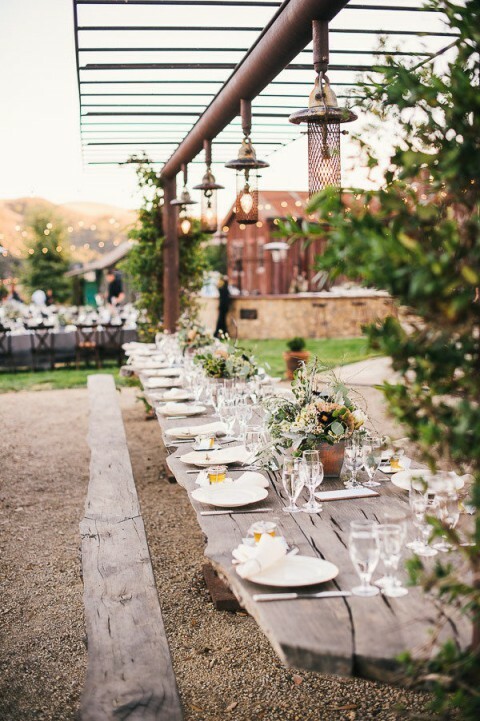 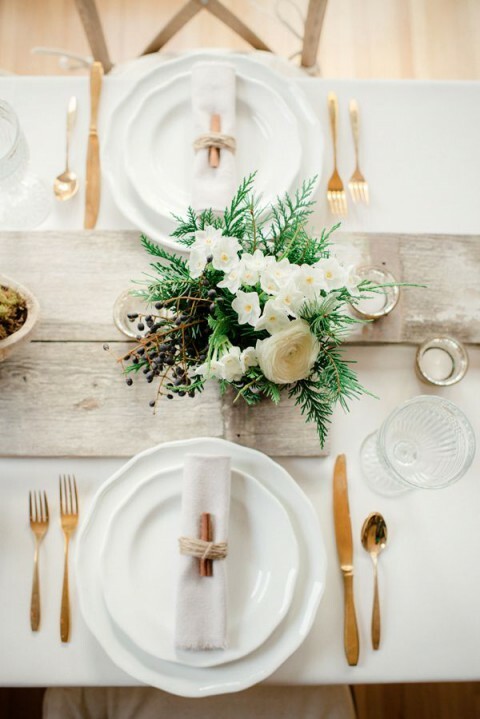 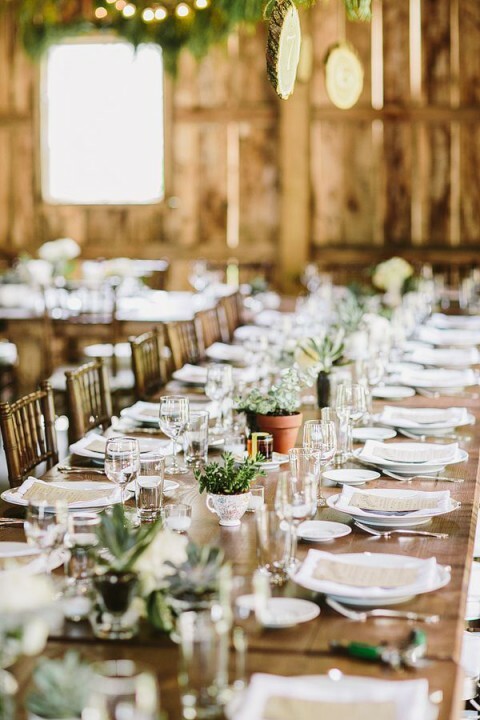 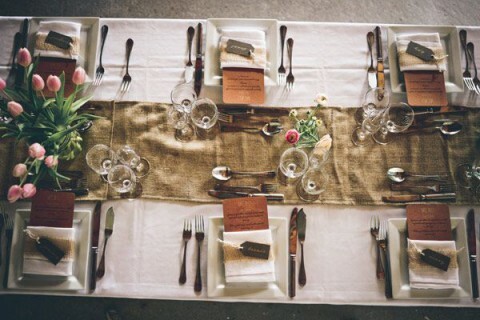 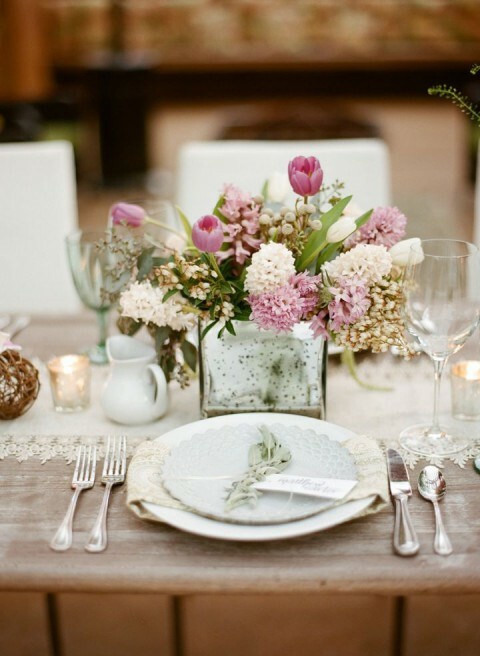 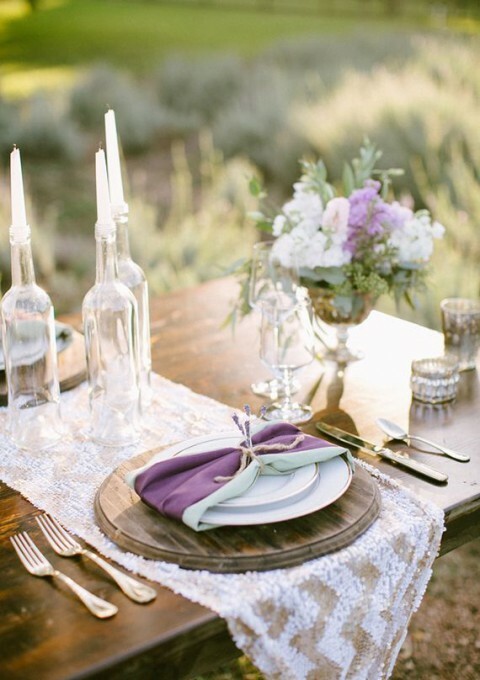 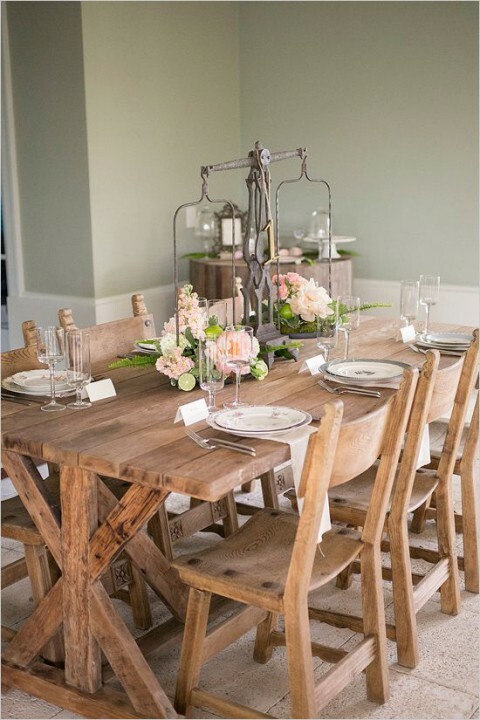 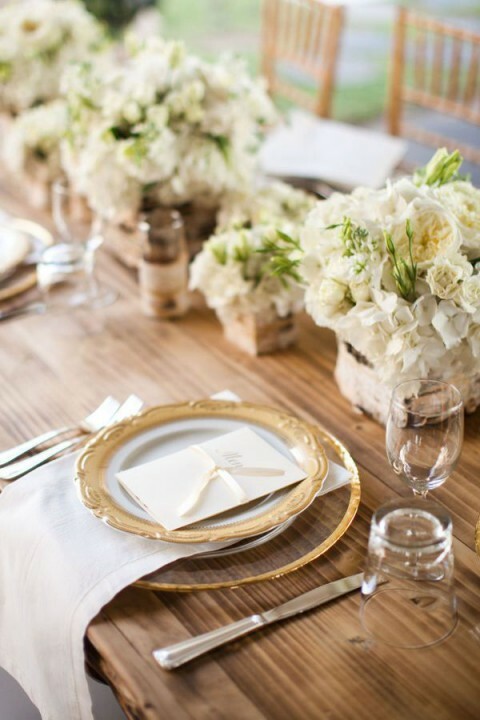 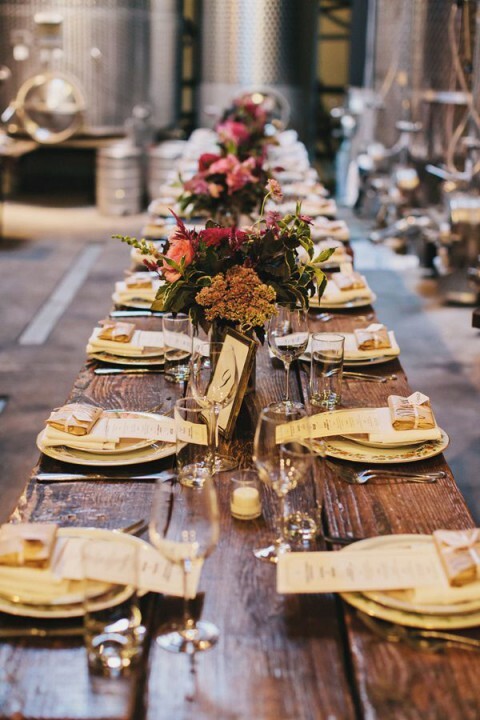 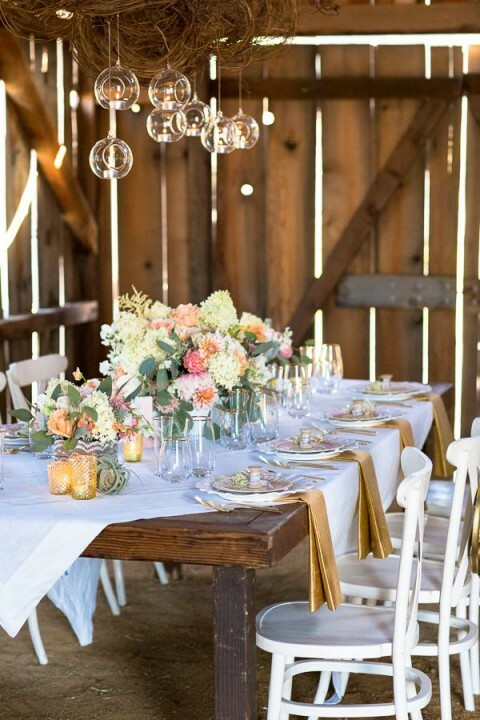 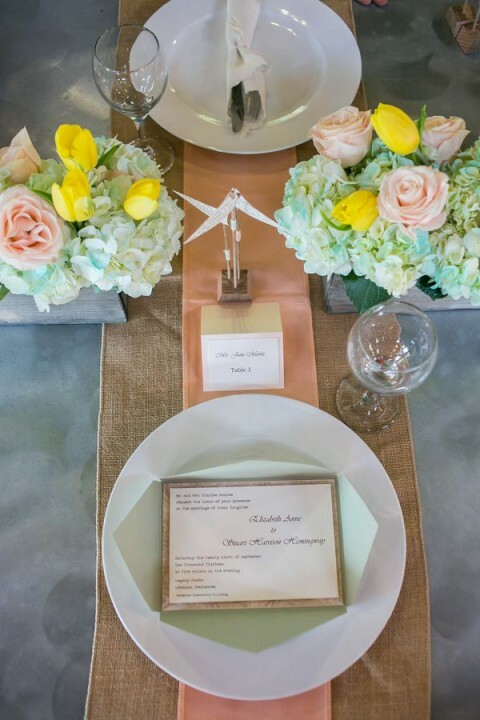 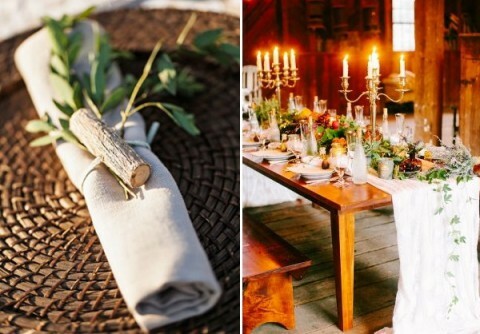 I always love sharing ideas connected with them, and today these are rustic table settings because table decor is the second thing that comes to mind after dressing the couple. 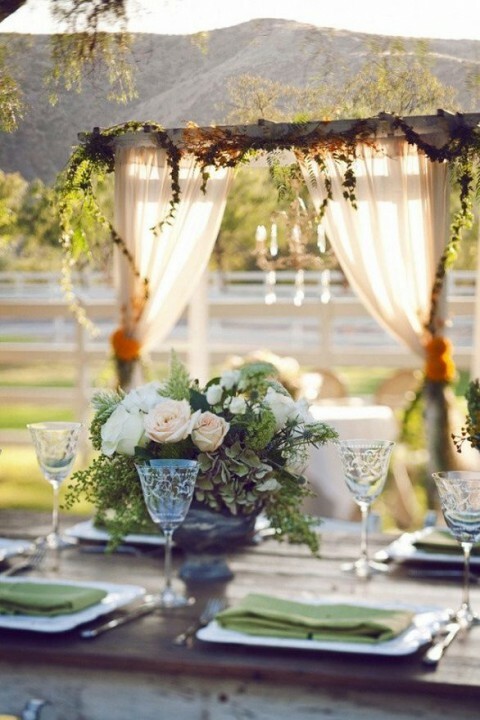 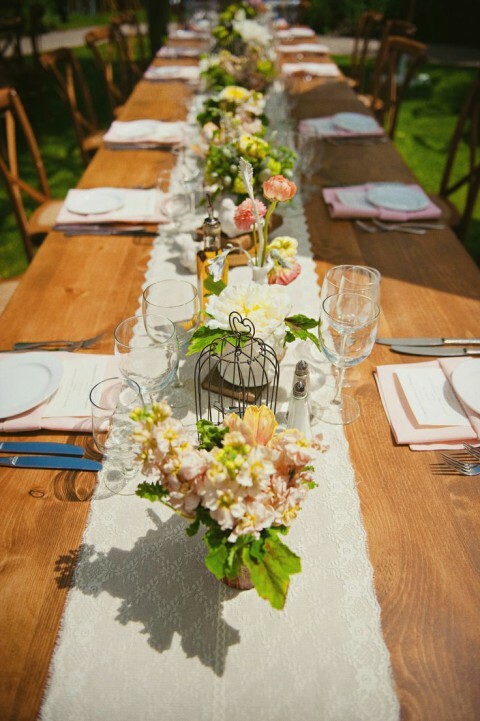 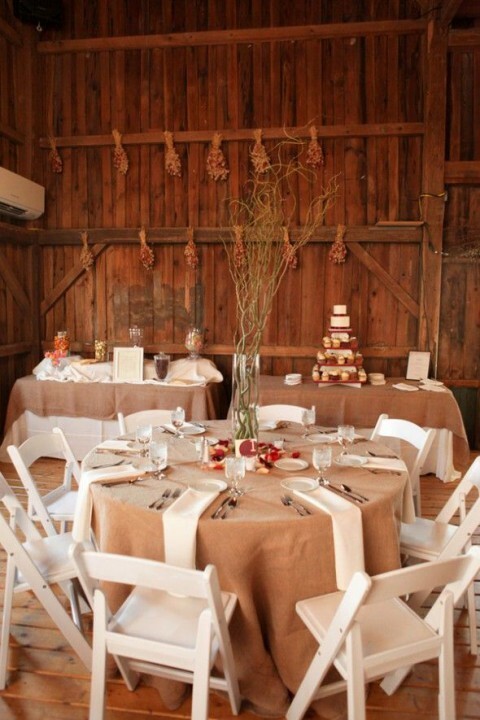 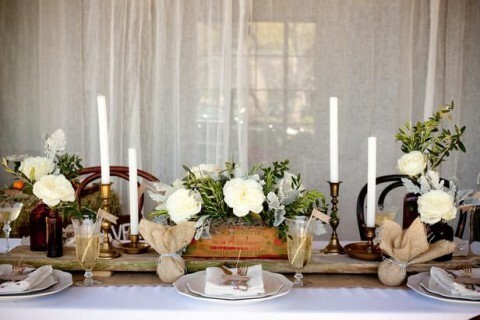 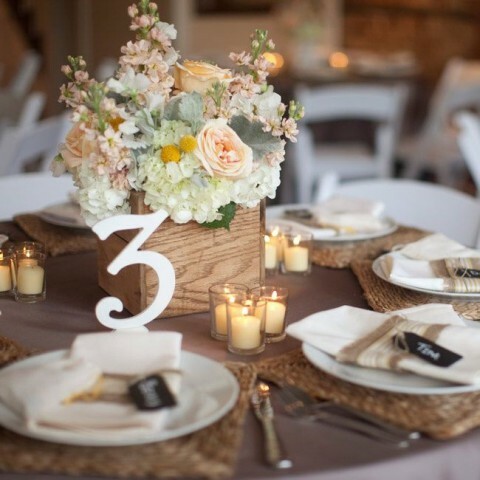 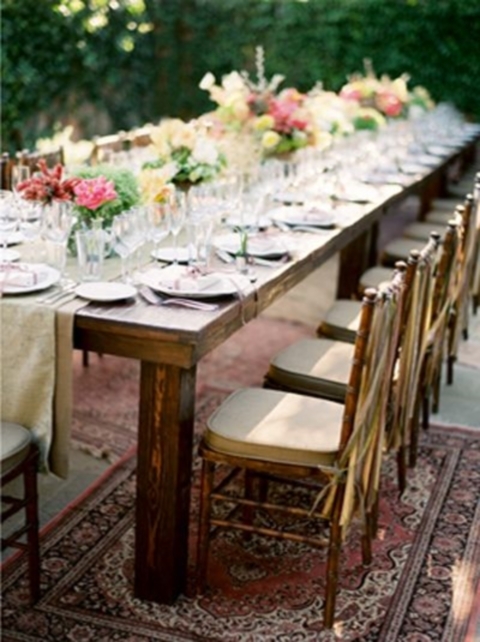 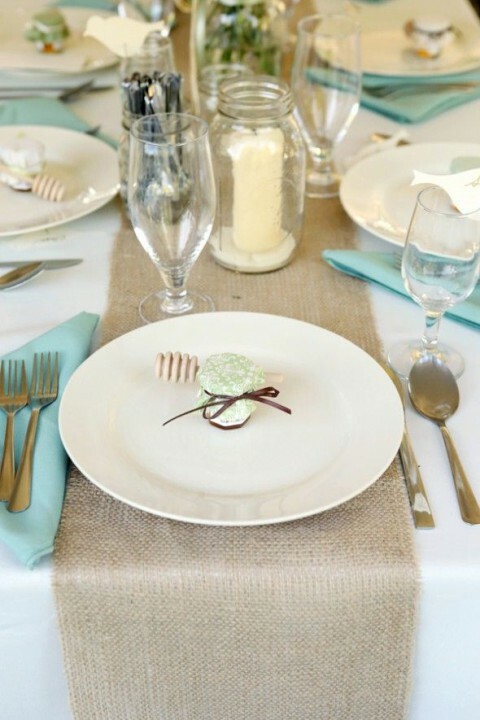 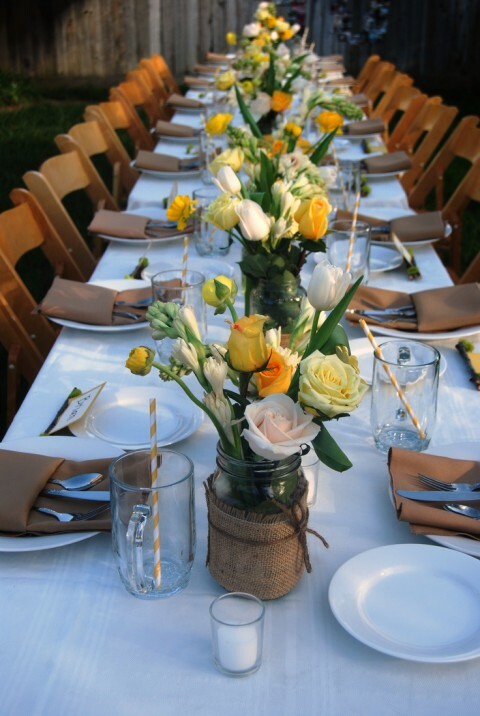 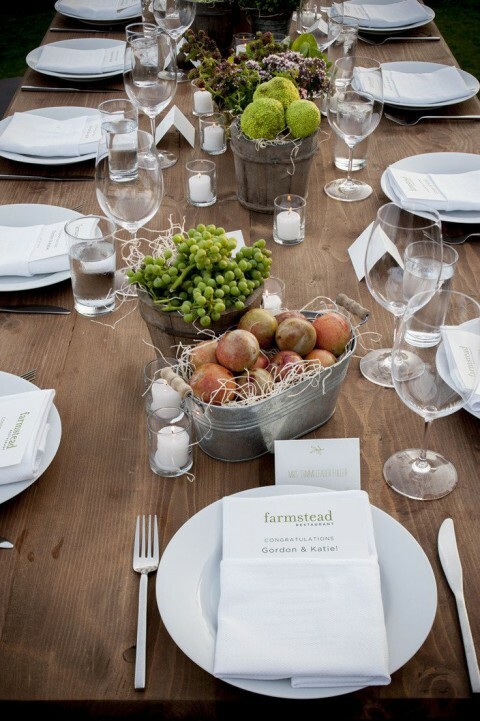 Rustic weddings are very cozy and comfy, so begin creating the atmosphere with burlap table runners. 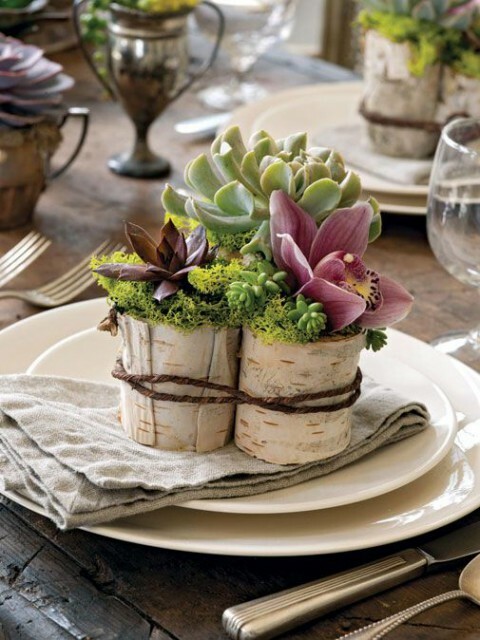 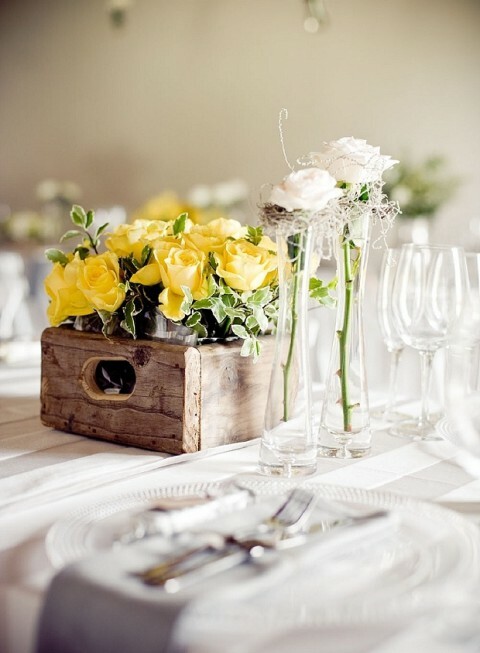 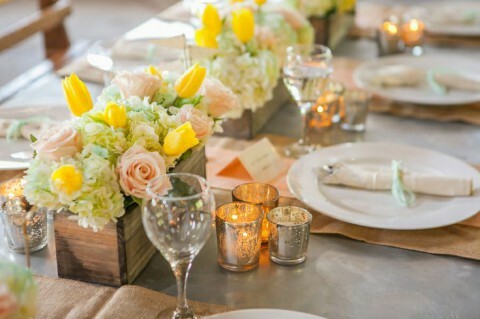 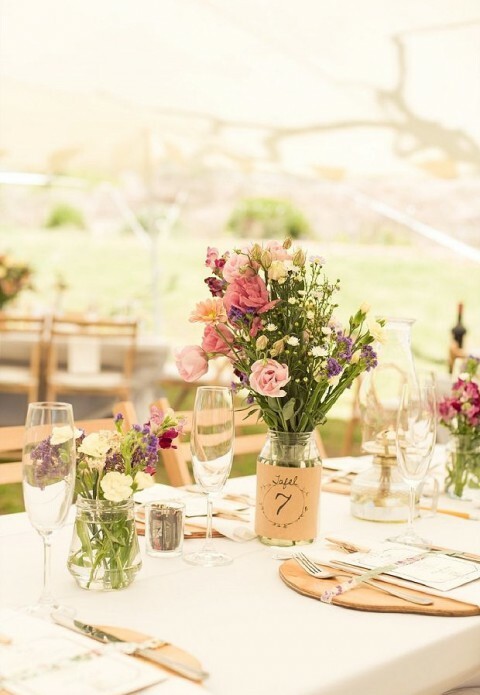 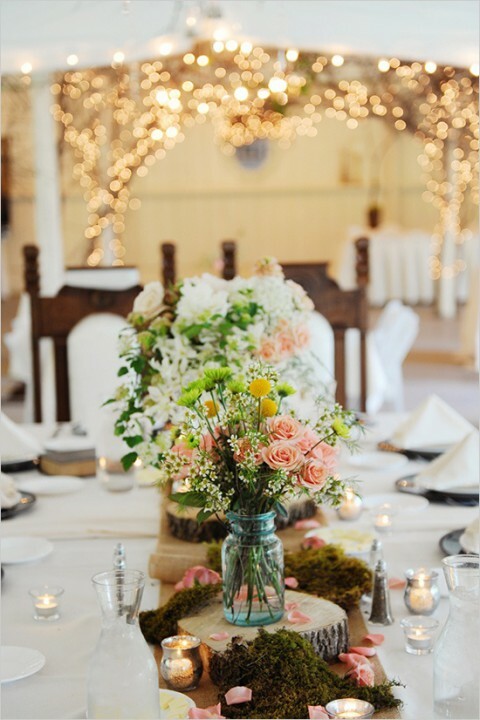 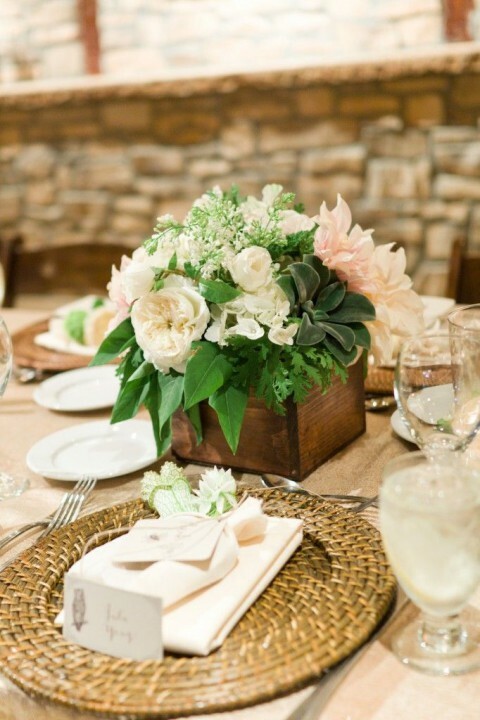 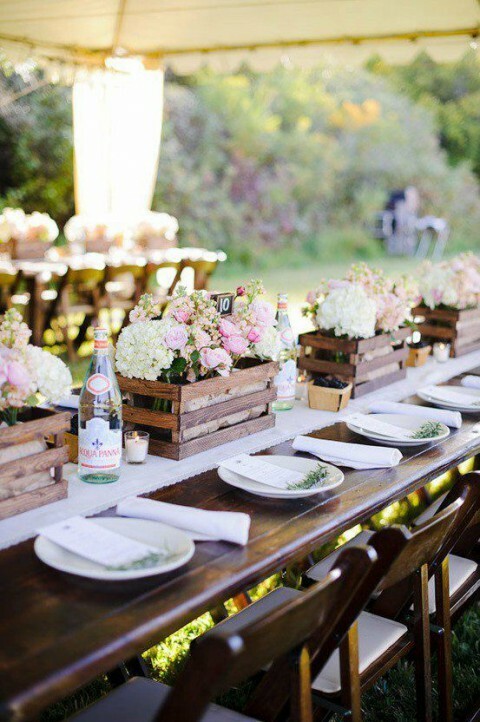 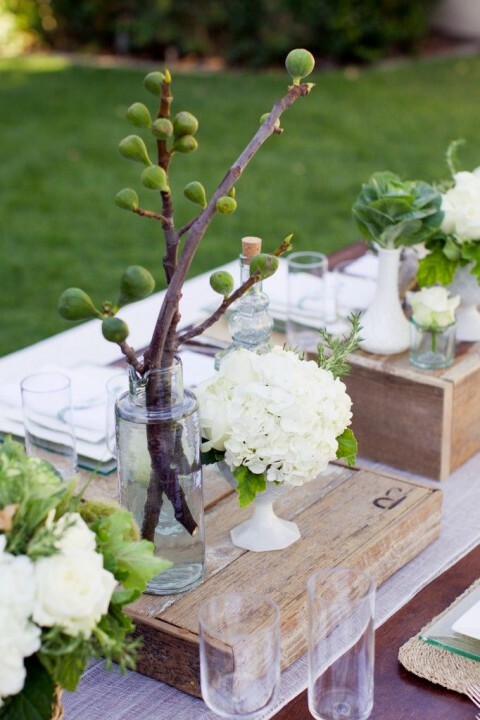 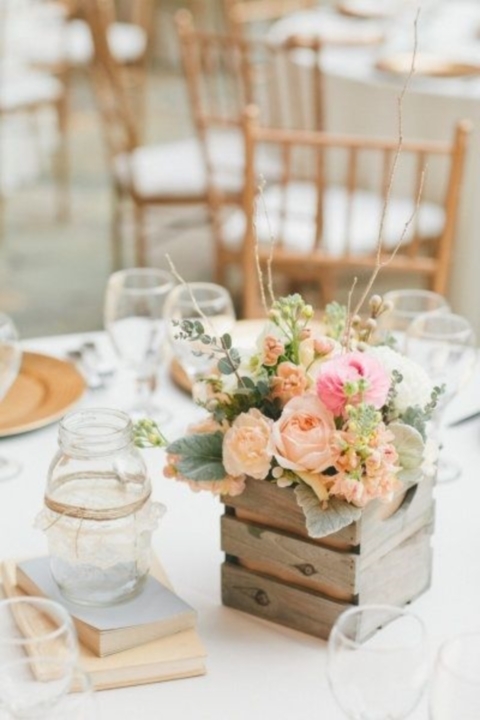 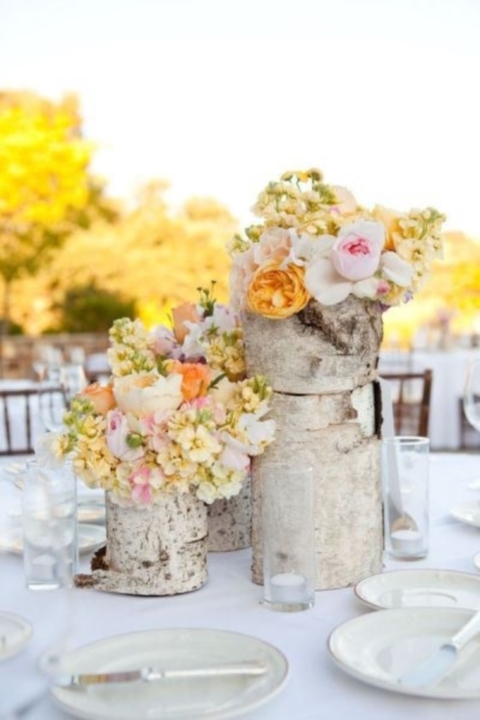 Use pallet planters or just boxes for flowers and centerpieces – they are ideal for rustic style. 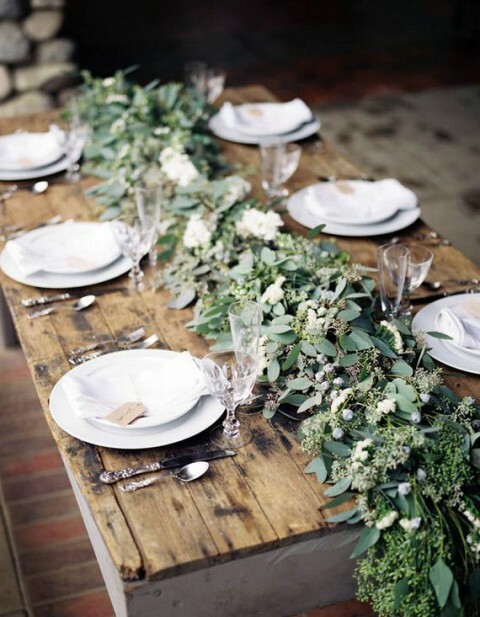 You can leave the table without a tablecloth if it’s a wooden rustic one. 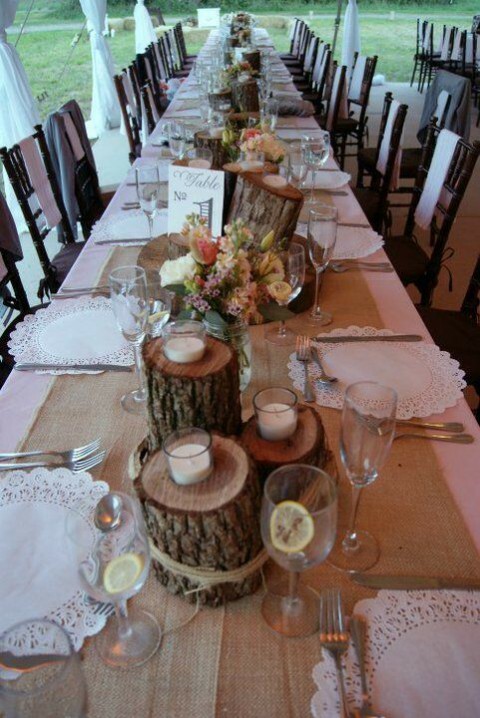 I love using wooden slices or even bark instead of placemats, that’s an adorable and affordable idea! 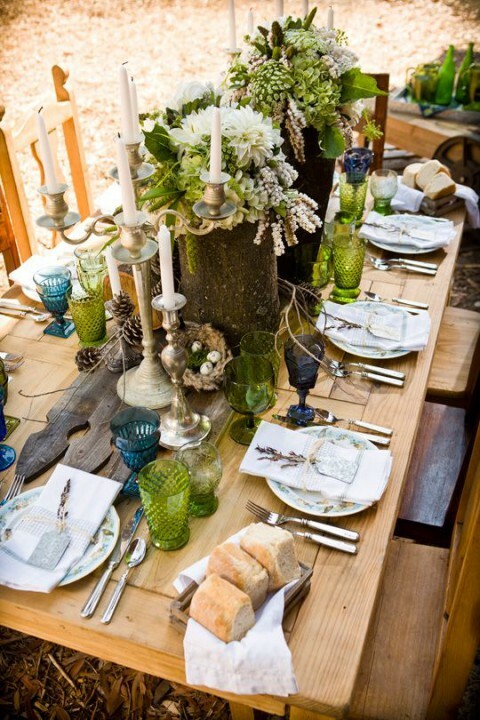 Take logs, candles, buckets, pinecones, twigs and create wonderful table decor – turn on your imagination! 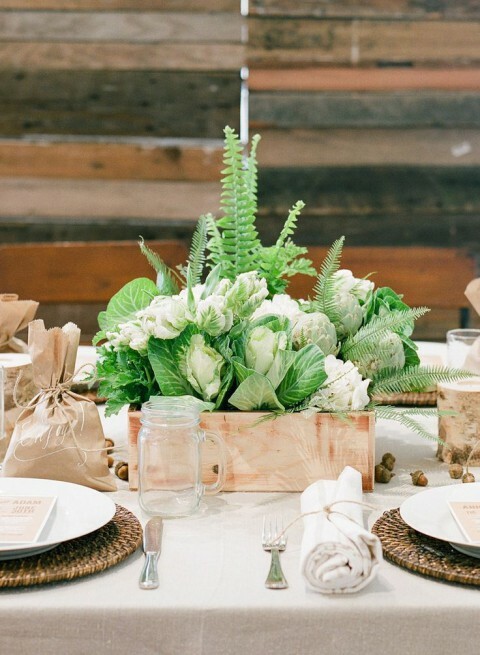 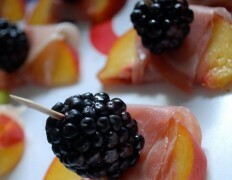 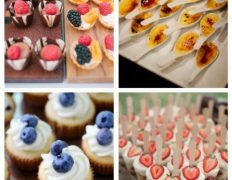 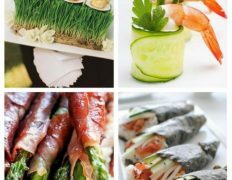 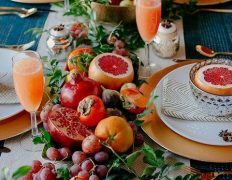 Make edible veggie and fruit centerpieces – they are yummy and look very natural. 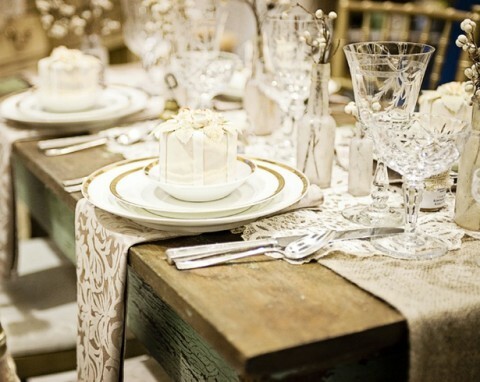 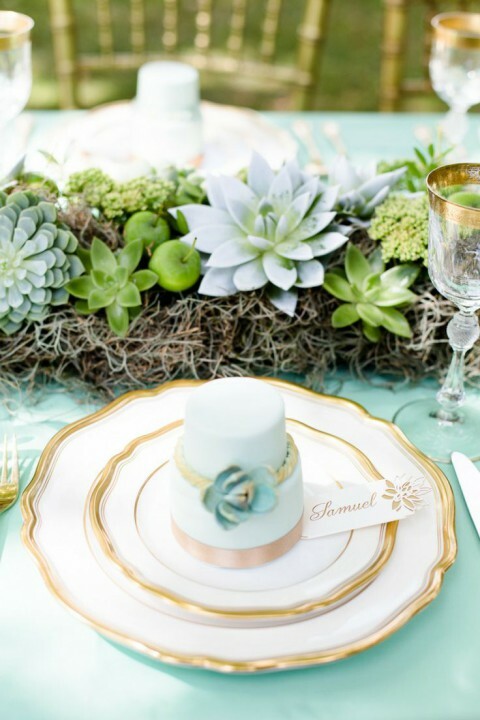 Lace is ideal for such a sweet table setting in case you want to add some chic. 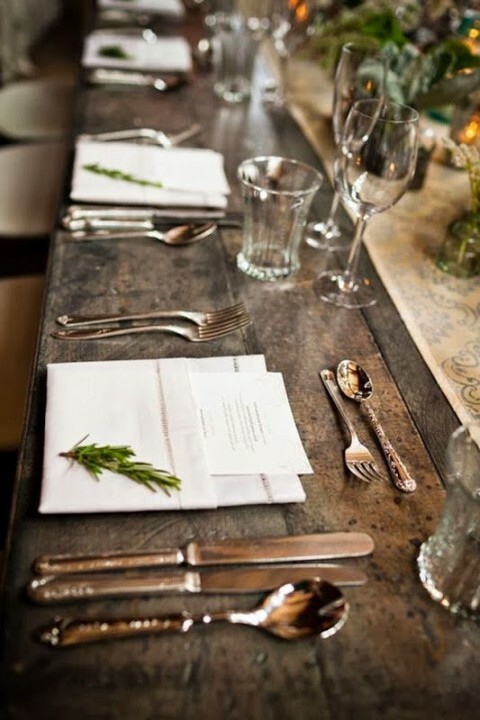 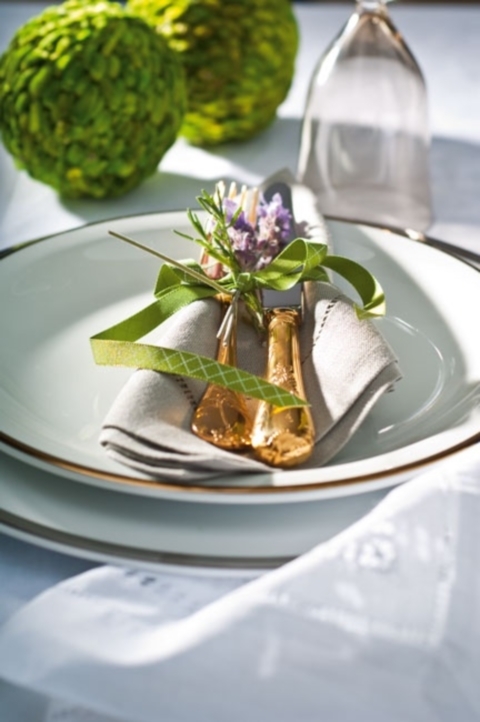 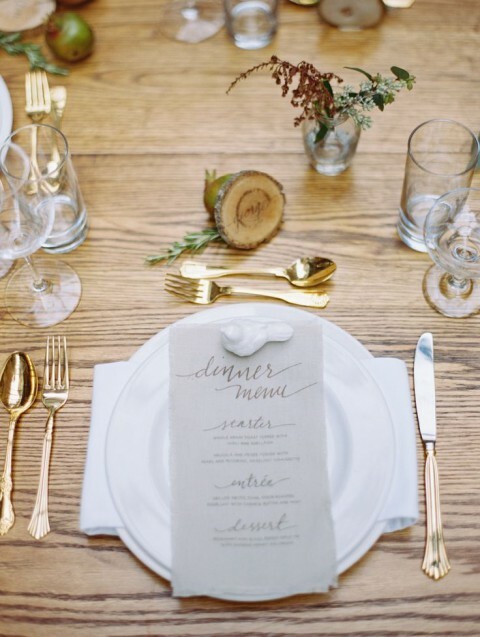 In case you want to give your table setting a vintage touch, take vintage tableware. 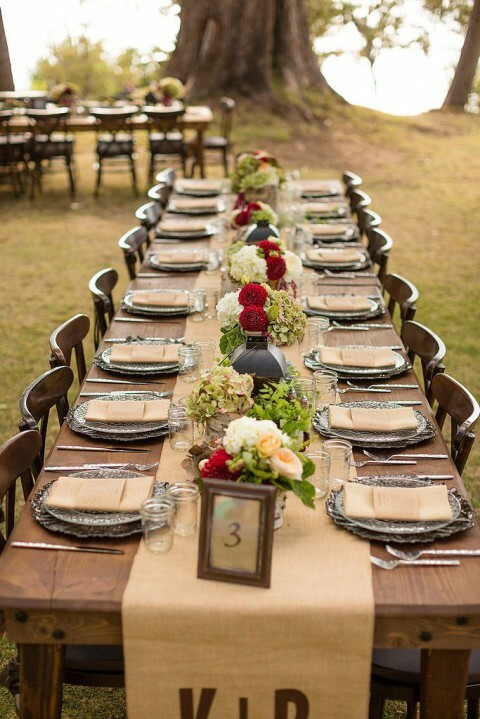 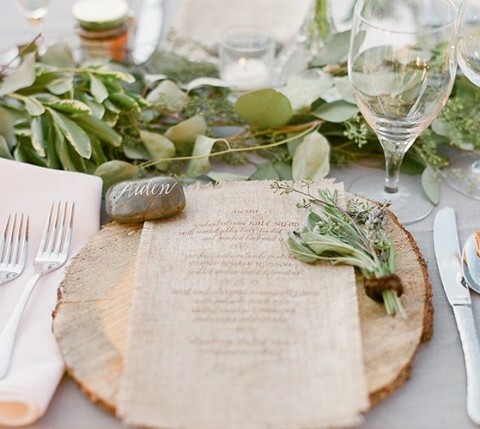 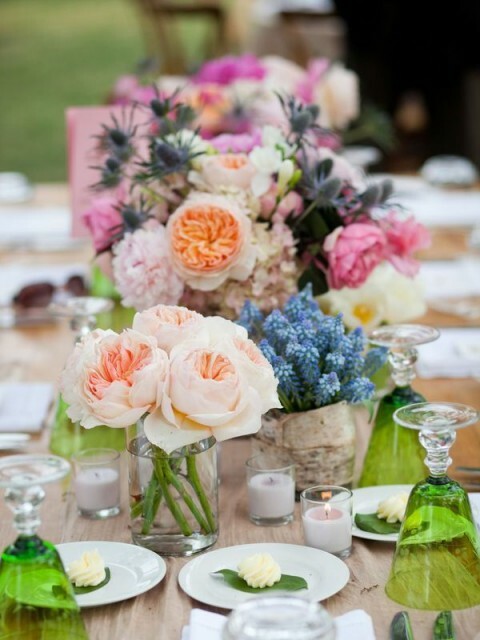 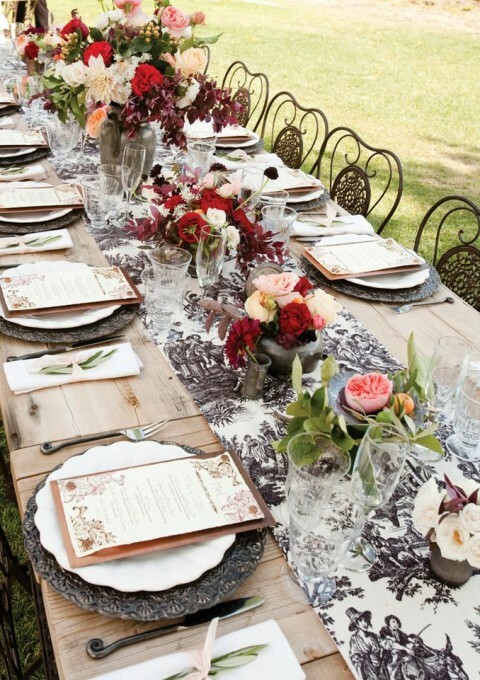 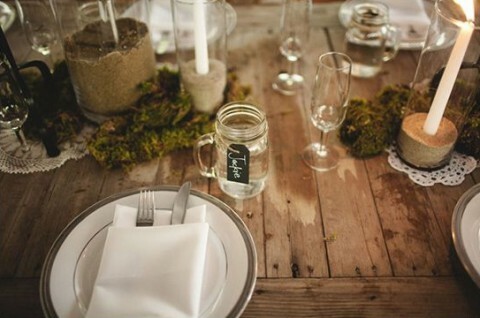 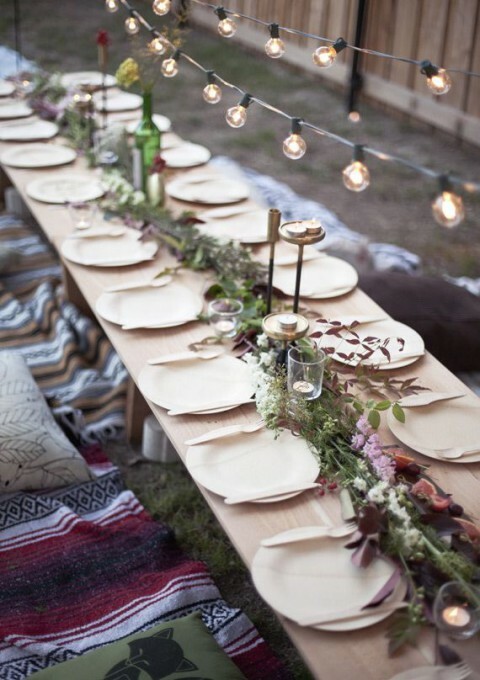 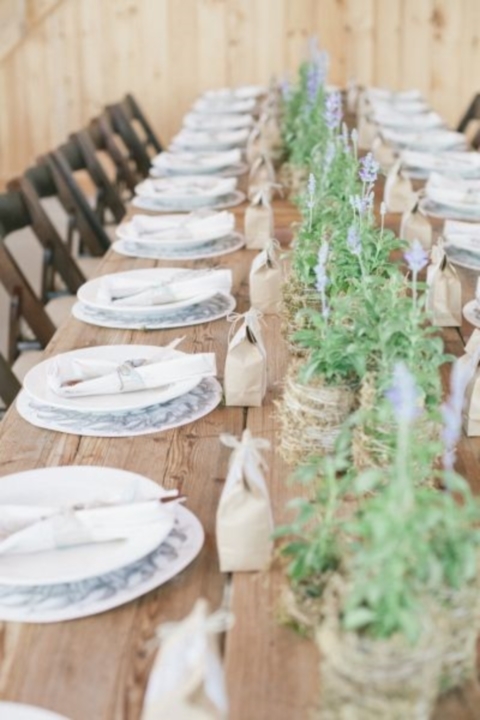 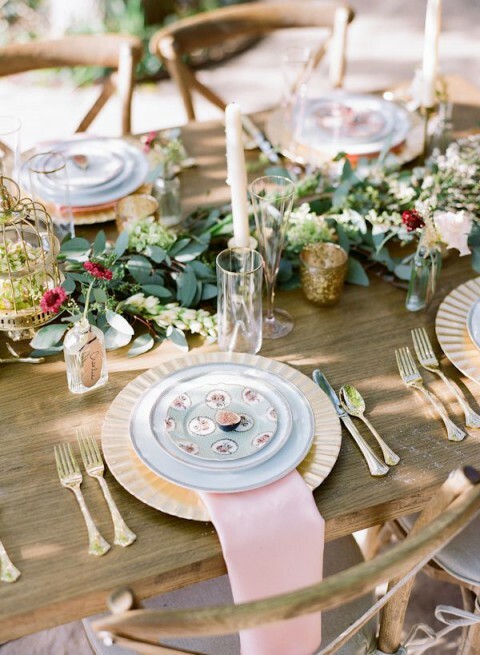 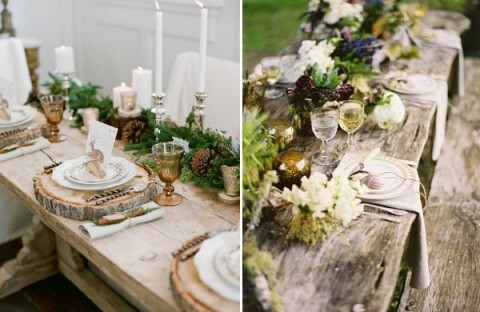 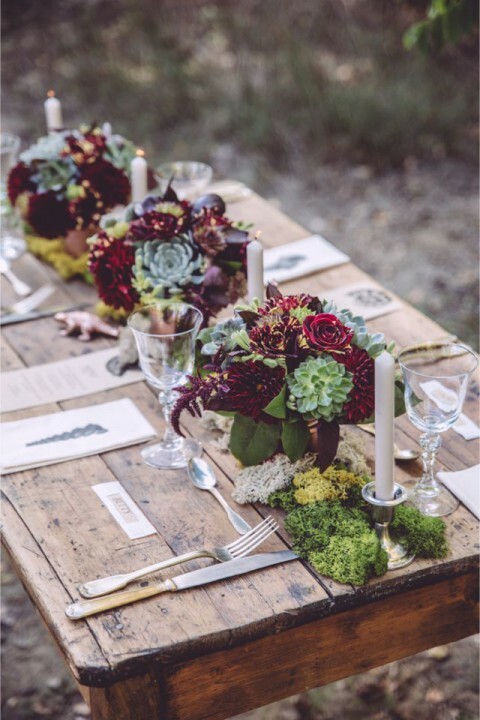 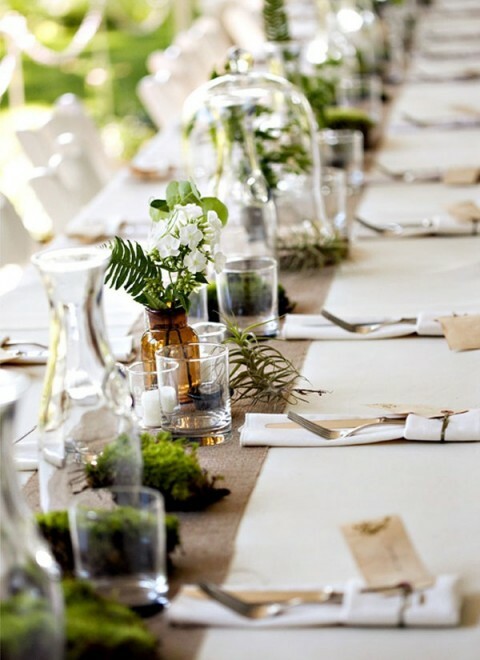 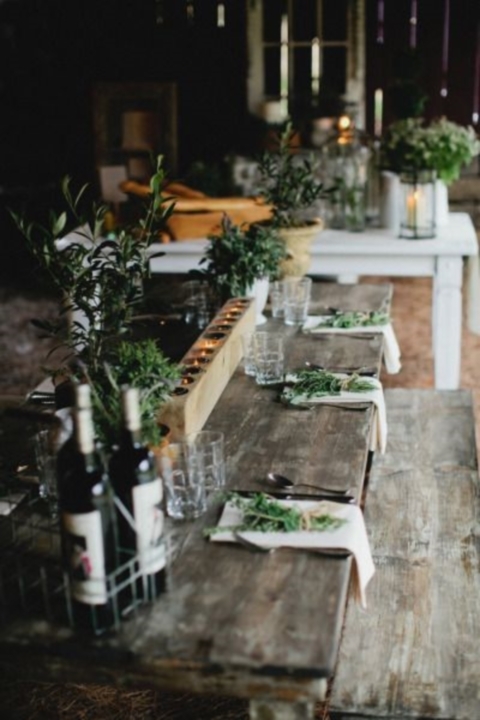 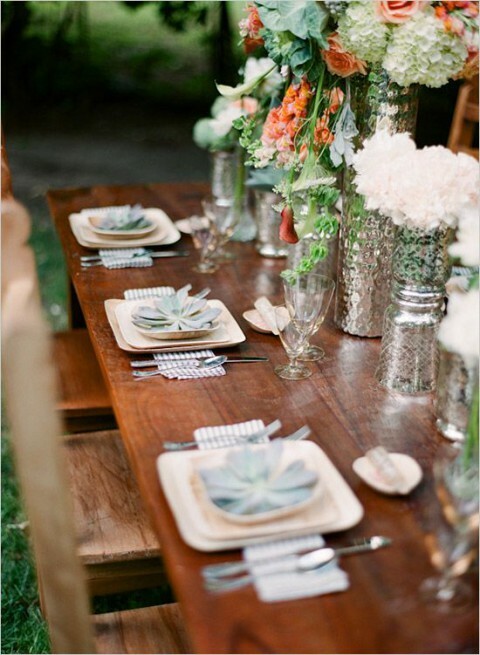 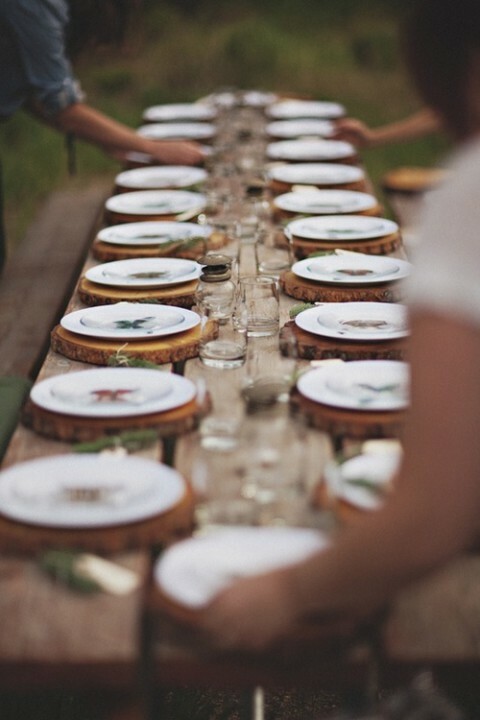 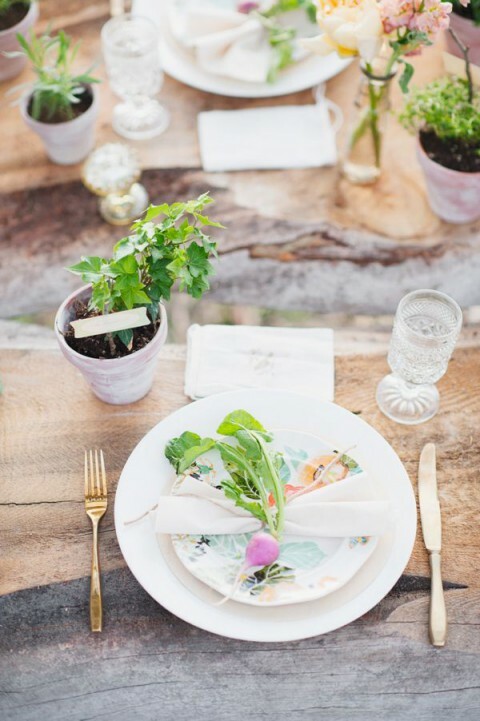 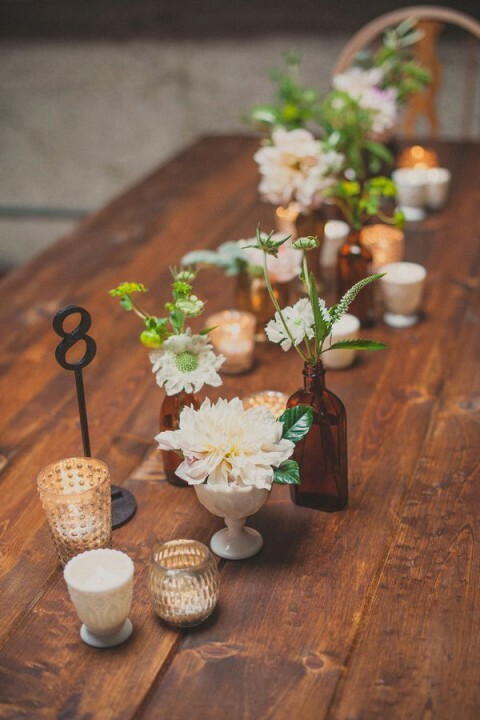 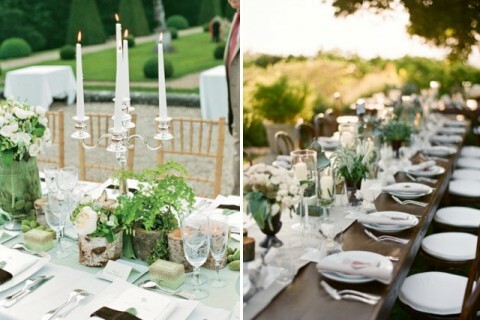 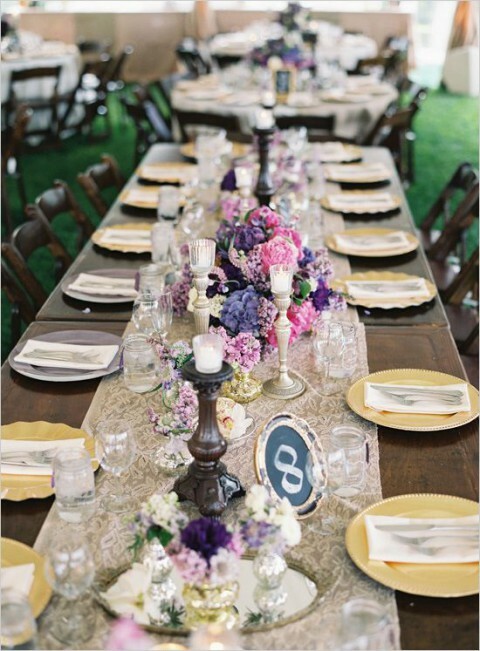 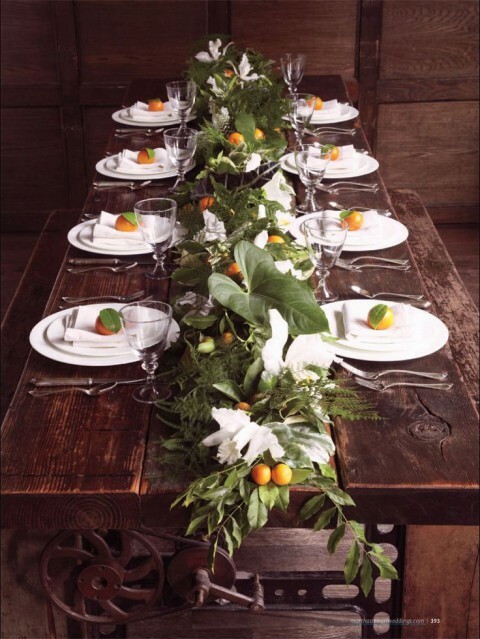 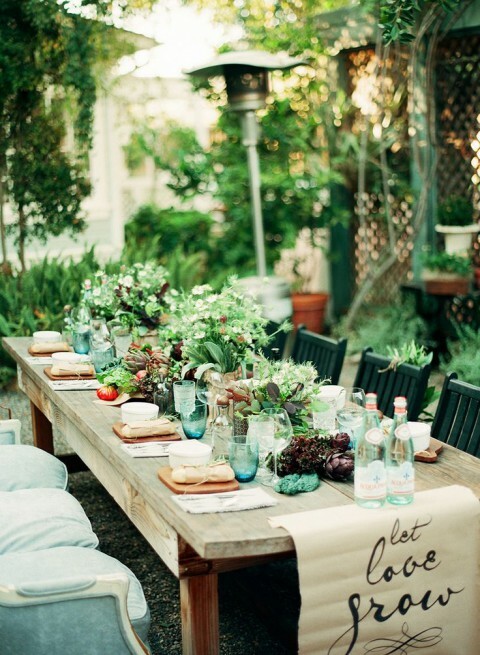 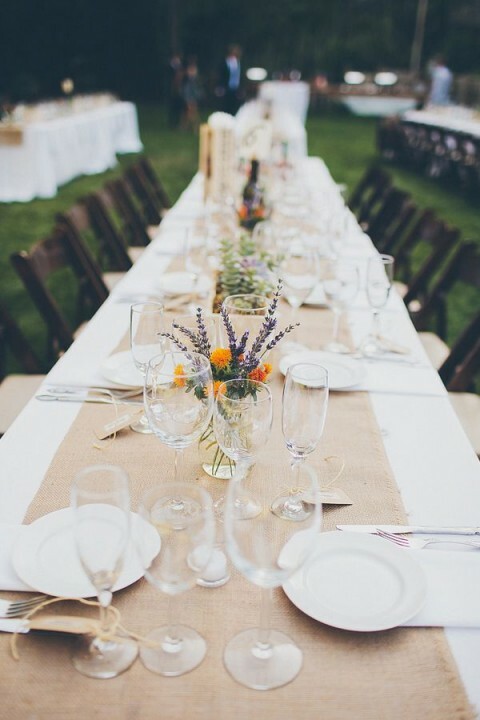 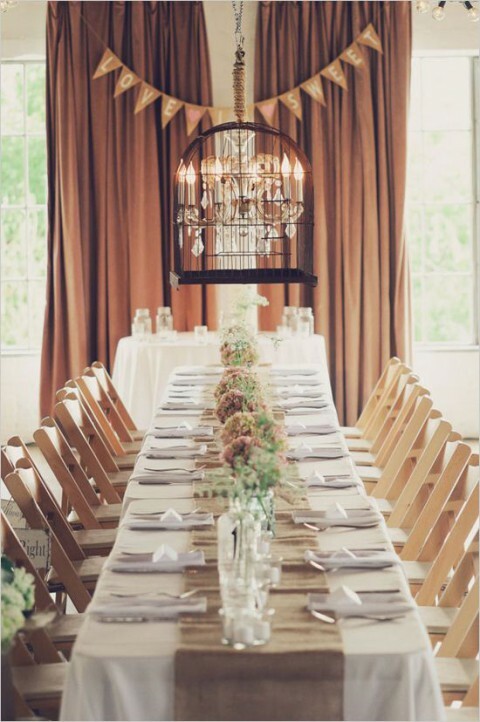 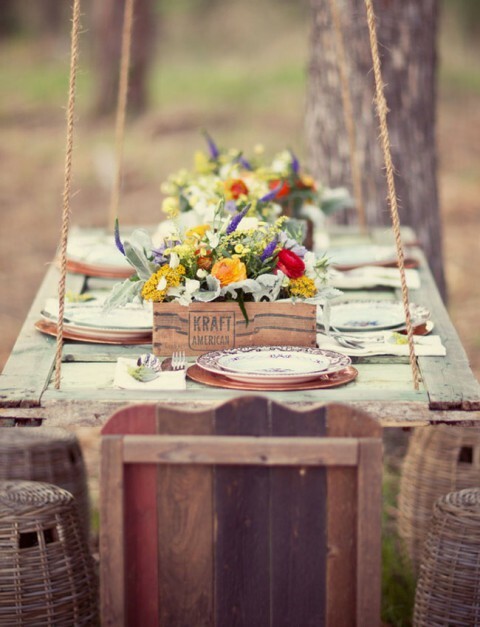 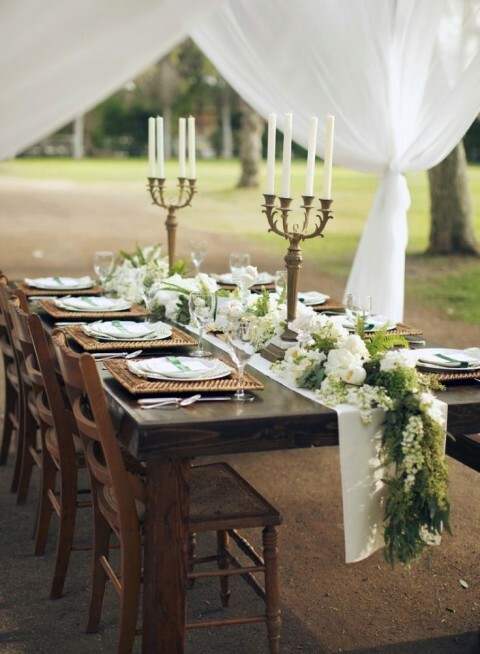 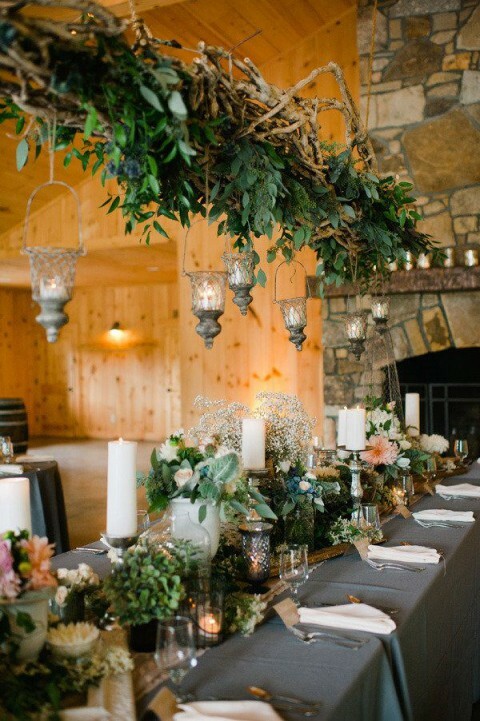 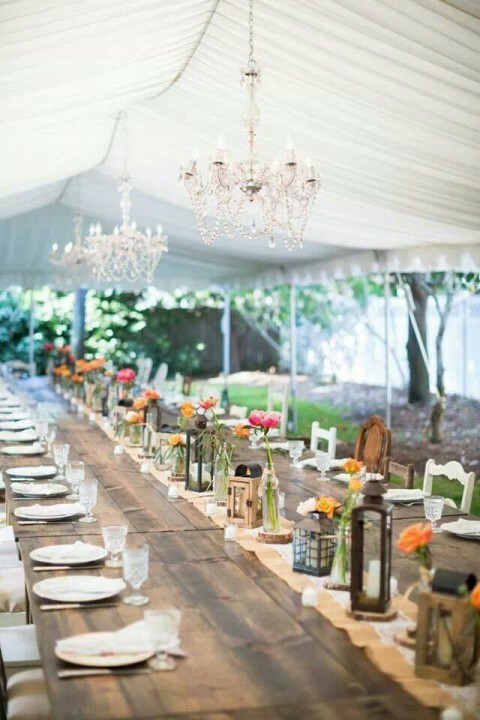 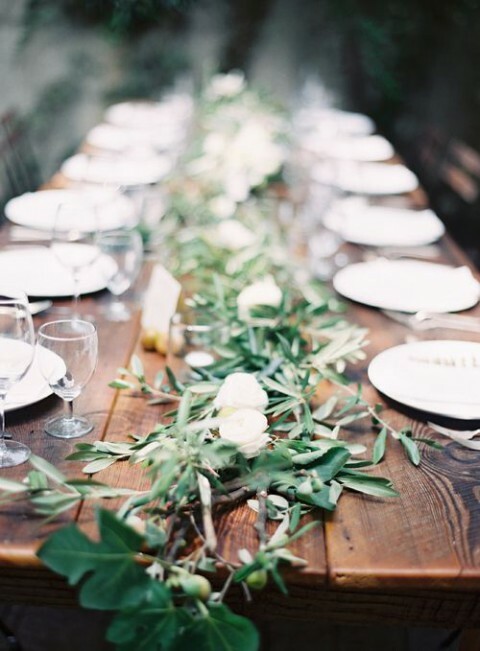 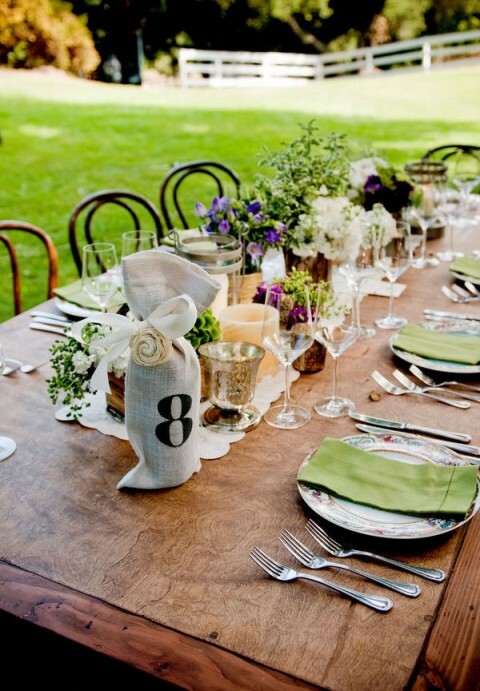 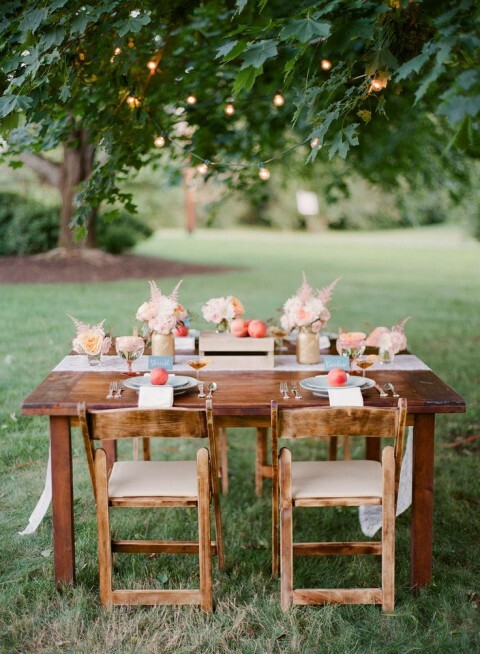 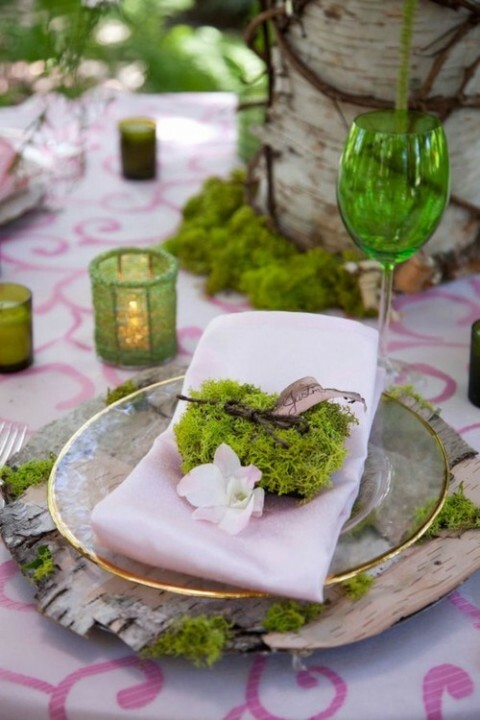 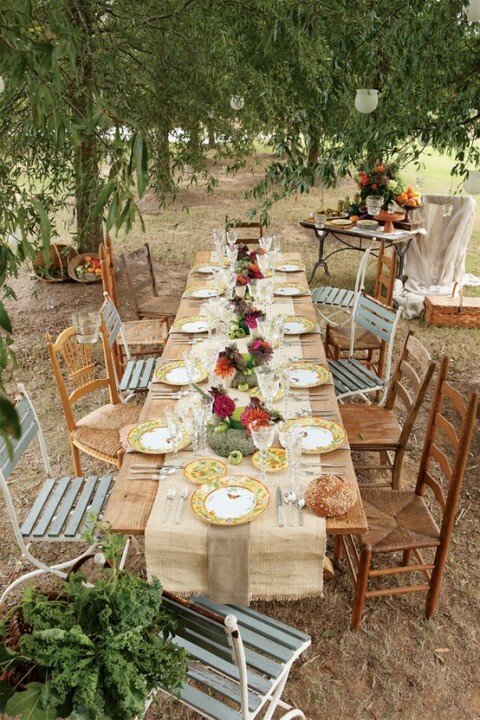 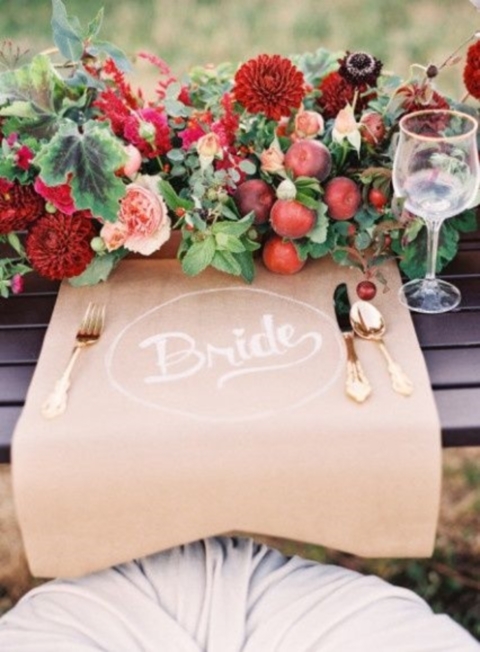 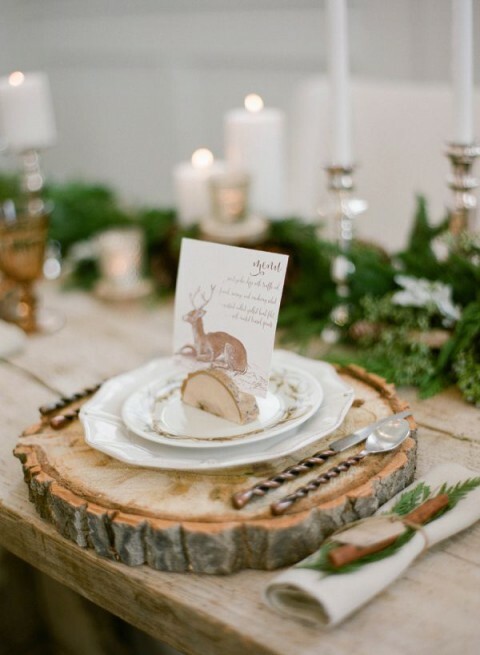 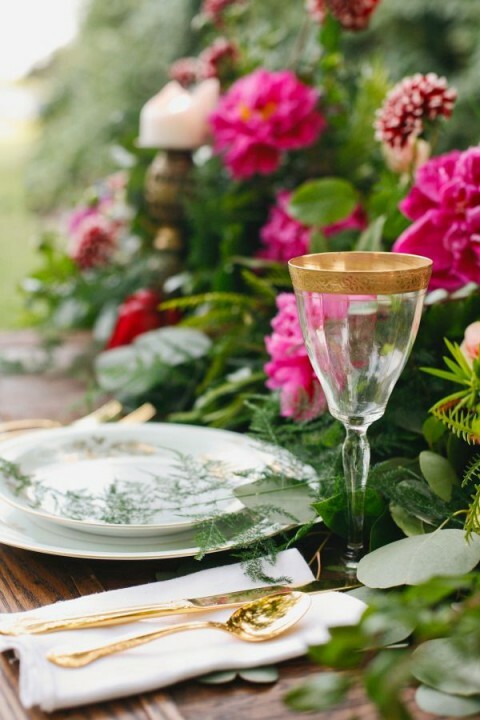 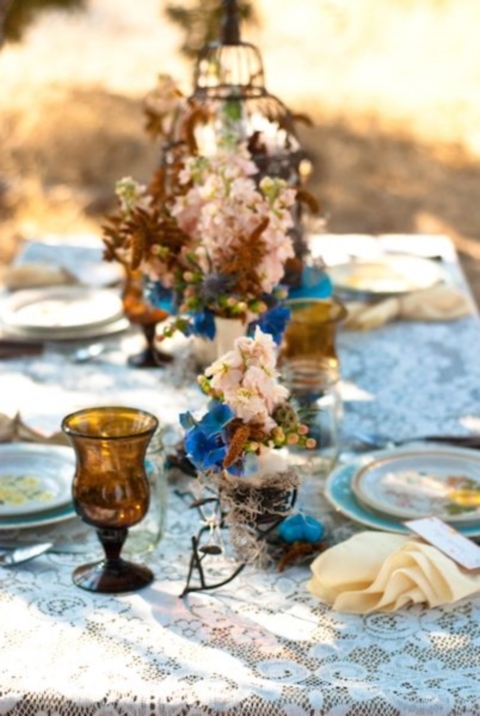 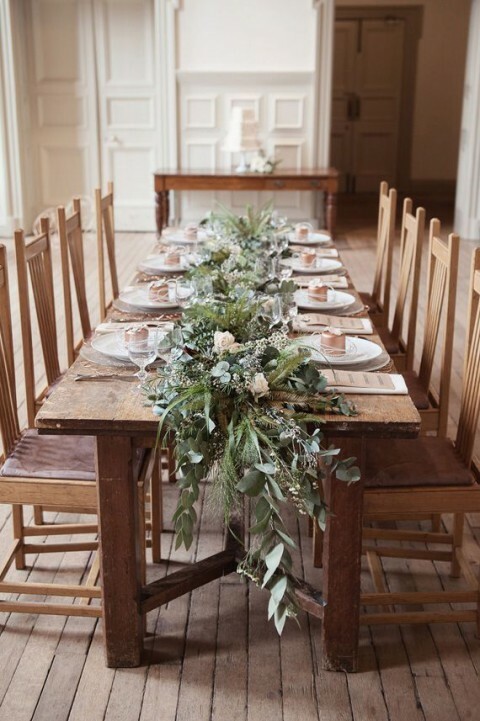 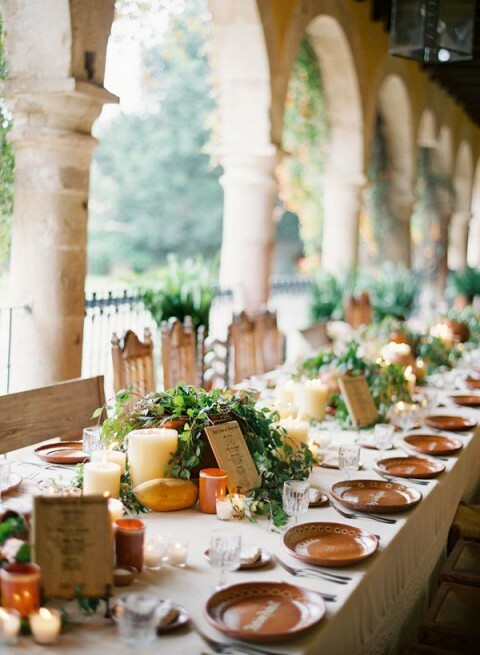 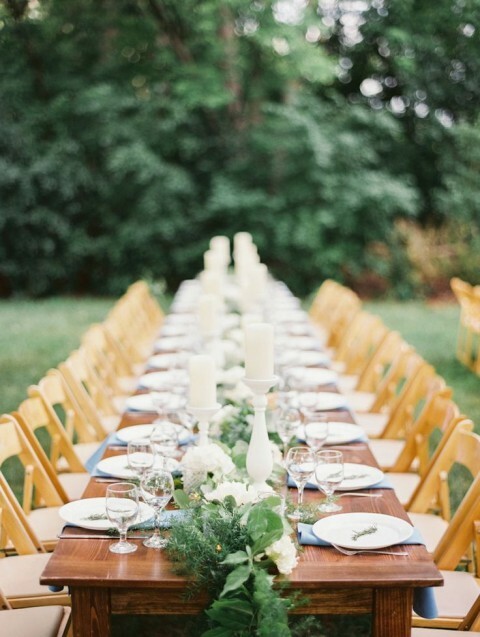 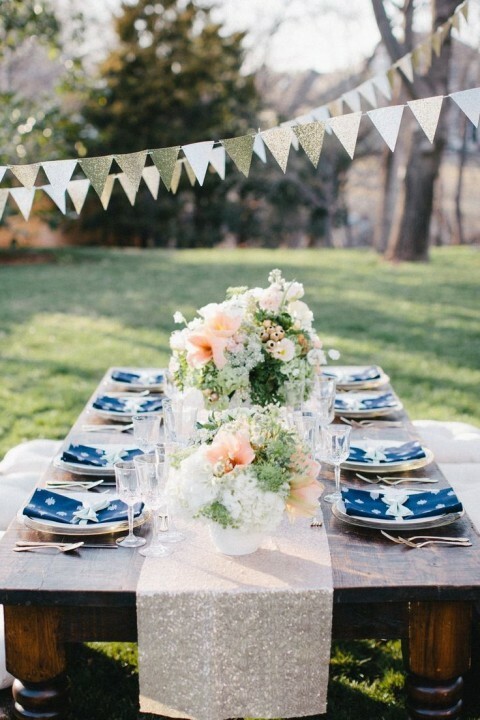 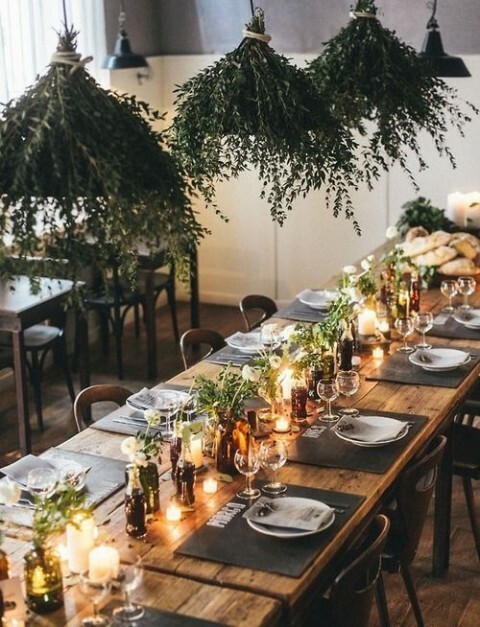 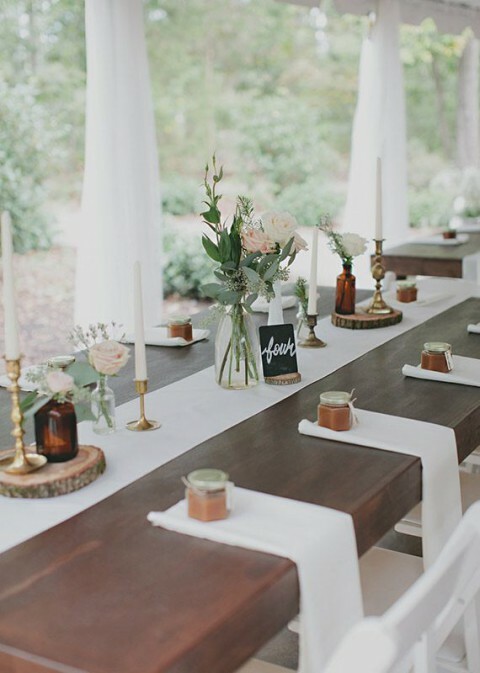 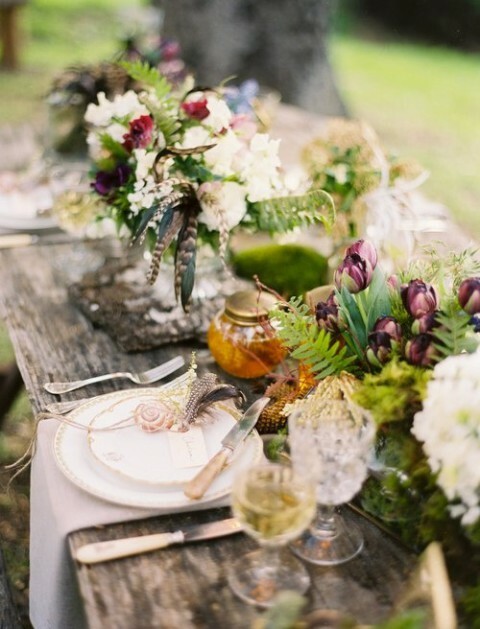 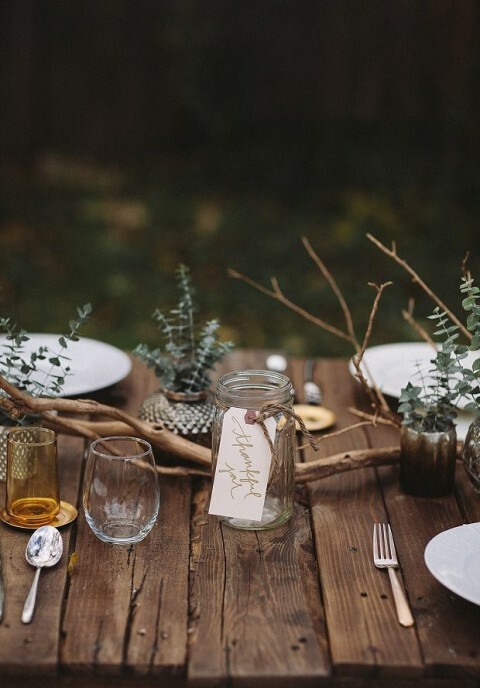 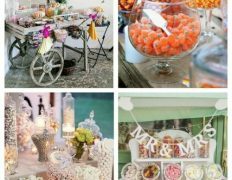 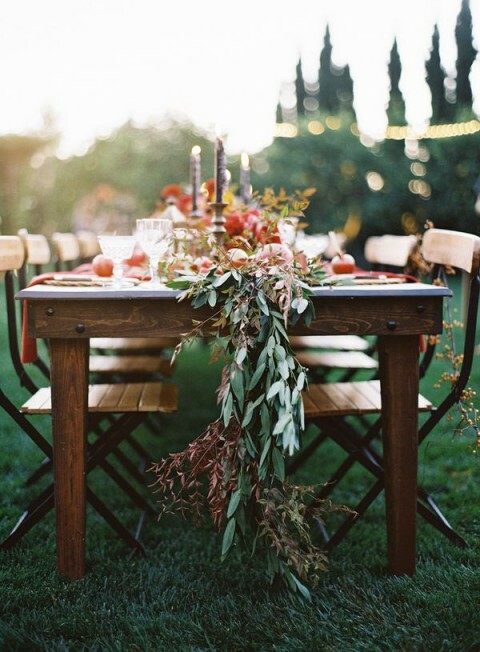 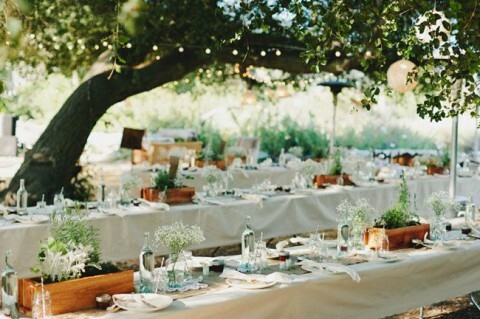 A woodland wedding table is also a very cool idea, so enjoy the pics below and find some amazing ideas for you! 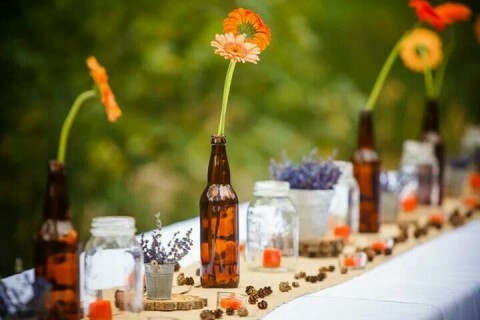 Excellent post. 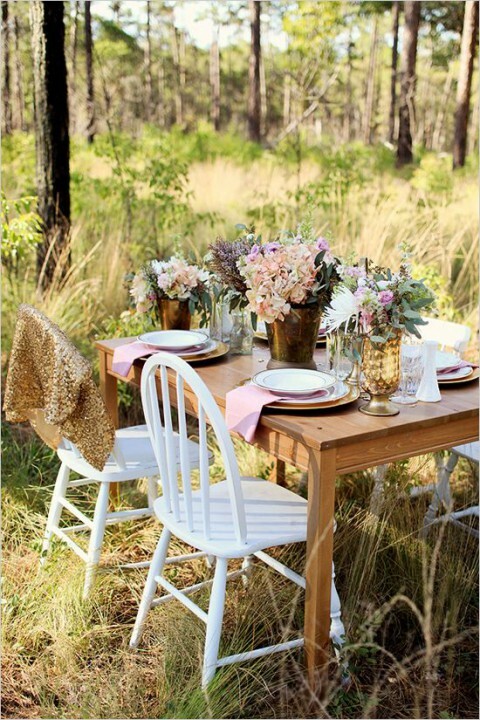 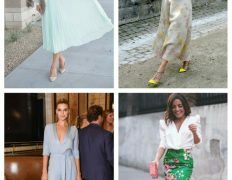 I used to be checking constantly this blog and I am inspired! 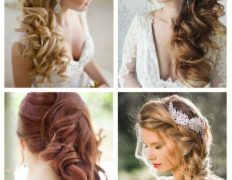 Very helpful info particularly the final phase 🙂 I maintain such info much. 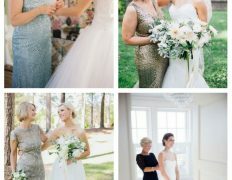 I was seeking this particular info for a long time. 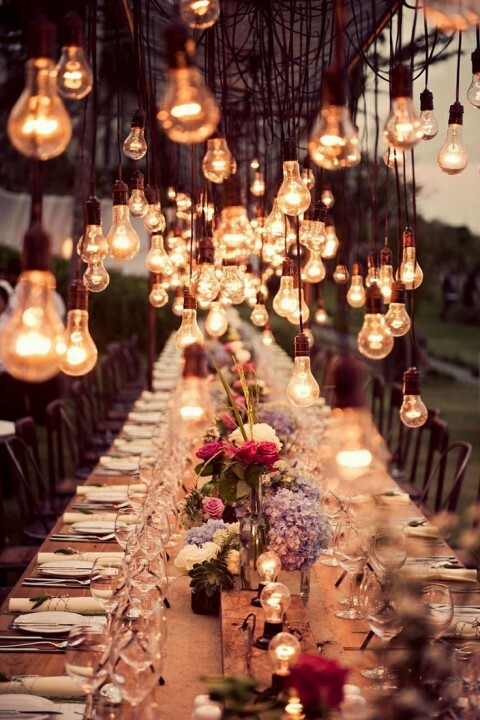 Thanks and good luck.